The emergence of the industrial internet may be the most significant change that has occurred over the past few years. It is transforming the day-to-day operations of both manufacturers and end users, as well as the role of the operators, engineers and maintenance personnel, making them more reactive and efficient. What is so different with the industrial internet that it needs to be defined separately from the consumer internet? As consumers, we see the increasing adoption of connected smart objects — the Internet of Things (IoT). This computing power has become an integral part of our lives, bringing not only technological but social change. Now apply the same concept to industry and imagine how this level of connectivity could have an even bigger impact. The three key components of the industrial internet are intelligent machines, advanced analytics and people at work. In this model, connected machines equipped with sensors talk to each other and to the cloud. The amount of data generated by these intelligent machines is phenomenal. Take a jet engine, for example. It produces an average of 3 terabytes of data on a U.S. domestic flight. Today, the amount of data generated by industrial systems is greater than the amount of information posted on the internet by humans. All this data would be useless without the analytic components. 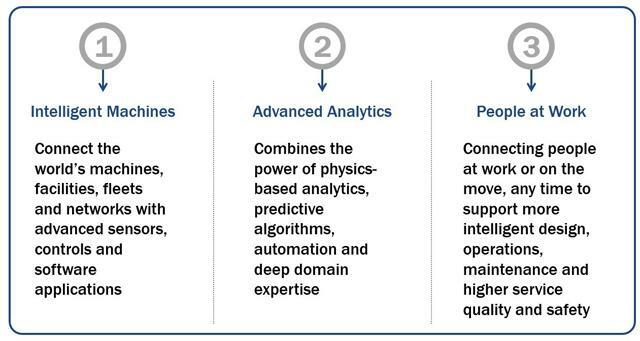 Combining physics-based analytics and domain expertise, we can make sense of the big data. The last of the three components of the industrial internet is the user: people who actually consume the information delivered by these systems. While the technology is here and ready, there are a few challenges to overcome in order to put industry on the right path. Industry today is dealing with many legacy systems and outdated pieces of equipment. A machine installed more than two decades ago is probably a stand-alone with limited connection capabilities. 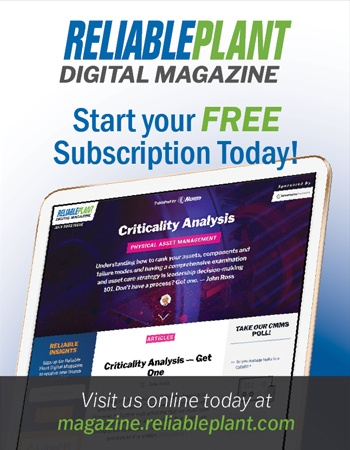 Many installations have some software, whether embedded in the machine and developed by the manufacturer or as part of a human machine interface (HMI)/supervisory control and data acquisition (SCADA) project. In both cases, connectivity and interoperability are the first challenges faced when embarking on the industrial internet journey. You may think you are doing a decent job at gathering data from your installations, but gaps still exist at most sites. Common reasons for data gaps are old or isolated pieces of equipment, not tracking manual operations, and information that exists but is consumed by another department in the organization. A typical example is regulatory compliance data that is only used to generate compliance reports. This represents a mine of information that can be utilized in the continuous improvement process, creating the need to be able to access and link all the data together in order to deliver accurate dashboards and key performance indicators. This link is called the digital thread, which is used to streamline the interfaces between functional silos — from the machine to the line, site/factory and all the way to the supply chain. The next challenge is turning this massive amount of data into information and making it available to the right person. Operators must be able to recognize which information needs their attention and what it indicates — at a glance. This not only requires a good user interface but also a system that delivers a great user experience. Poor HMI design principles can lead to safety issues, accidents, increased response time and prolonged downtime. Operators should have confidence in the system and be able to understand information with ease and speed, anticipate and identify issues quickly, respond instantly, complete tasks, and navigate seamlessly. Mobility is an enabler of this. Getting operational information directly into the hands of the people who need it will offer tremendous value. 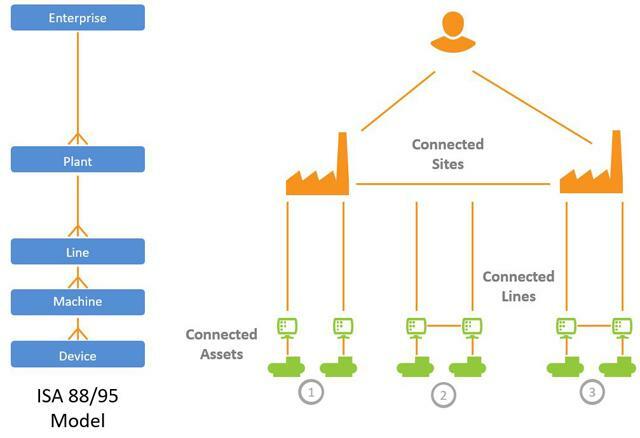 Once connectivity has been achieved and a good user interface created, the industrial internet represents a paradigm change in the way assets are monitored and serviced. 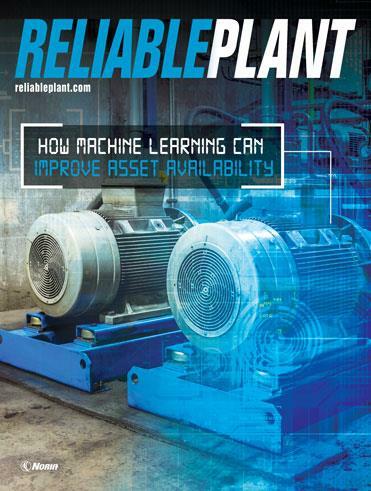 The manual checks formerly performed on single assets are replaced with continuous monitoring by software, which delivers important information like performance data, uptime and downtime views. With remote access and the use of devices like smartphones or tablets, subject-matter experts can be called for help at any time. Instead of acknowledging failures, they can diagnose what is really happening. The industrial internet represents a huge opportunity. 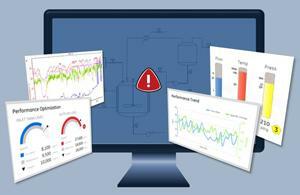 It enables a new level of asset monitoring as well as ways to diagnose and predict problems before they even occur. Several key elements are needed to ensure the industrial internet realizes its full potential, including improving connectivity and creating an effective user interface. Once these are achieved, the benefits can be enormous.